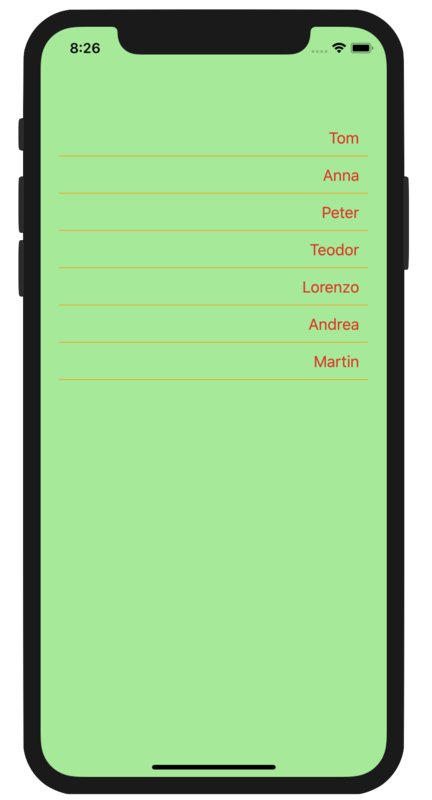 In this article, we take a glimpse at how we can style Xamarin.Forms apps with a combination of XAML Styles and CSS. Read on to get started! Mobile apps often shoot for a consistent user experience. Given the ruthlessly short attention span of most mobile app users, consistency of user experience is one way to keep the user engaged throughout a single session in the app. An app user interface should have a similar look all throughout and behave uniformly. Consistency in colors, placements, and animations can make different app sections feel like a part of one family — leading to a smooth and natural user experience. One way to achieve UI consistency is to use a style theme. All resources used in styling app interfaces live together — styles are shared and changes trickle down throughout the app's UI. If you're building cross-platform apps with Xamarin, Telerik UI for Xamarin can also aid in app-wide consistency with UI controls that are rich, performant, and exude consistent styling. This is achieved using a built-in Telerik theme, providing developers consistent app-wide XAML styles, as well as customization options. There is a new kid on the Xamarin app styling block though, CSS. And while met with hesitancy, it is here to stay. Is it blasphemy to mix and match CSS with XAML styles? Could CSS play a role in app-wide theming for UI consistency? This article explores the complex yet realistic world of using XAML styles with CSS to maintain app-wide themes for delightful user experiences. What do most mobile apps have in common? There is usually a list of things. And a ListView is often the developer's choice in UI to display the list. Sure, there is a default ListView in Xamarin.Forms, but the ListView in Telerik UI for Xamarin raises the game substantially. There are features that developers should just not have to re-invent from scratch — like sorting, grouping, filtering, layouts, swipe actions, pull to refresh, and flexible styling. Let's get started displaying a basic list of strings, before we look into its styling options. 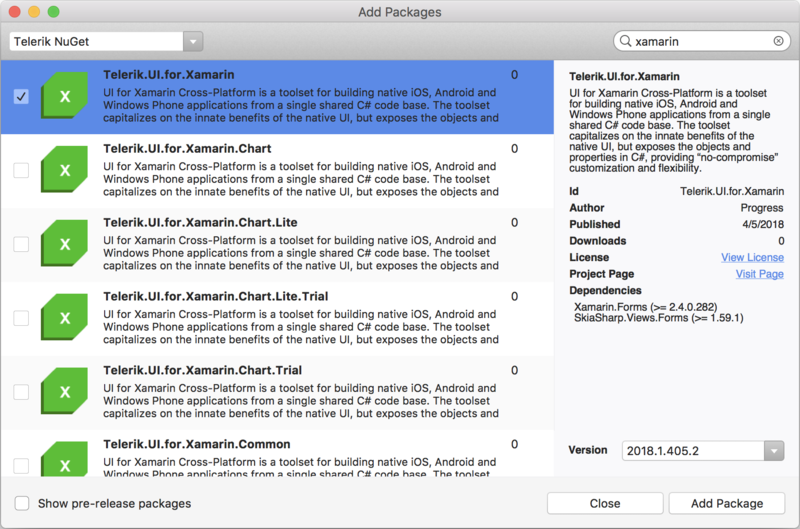 While there are several ways of bringing in Telerik UI for Xamarin bits in your Xamarin.Forms project, arguably the easiest one is to just get the NuGet package. You can get the whole suite or pick one of the customized NuGet packages based on the UI controls you are going to be using. Next up, let's start with an new XAML page and its code. First, we set up some sample data. No MVVM pattern here — picking up an MVVM framework should be need-based, not because of peer pressure. That's it. When we run our app, we get the vanilla ListView from Telerik UI for Xamarin and it behaves exactly the same way in iOS, Android, and UWP. Notice that there is not much styling to our ListView — it is feature rich, but looks simplistic for now. Next up, let us give our vanilla ListView some styling flare. This can be done with XAML styles that are inline within the ListView definition, but this makes it harder to maintain. Ideally, you'll want all uses of ListView within your app to have similar looks and behaviors. This also holds true for other UI components within your app as well — everything needs to feel coherent. The needed XAML styles that apply to the ListView have now been pulled out of the DLL into an app-wide Resource Dictionary — you can see that the ListView starts to look a little more polished and shows the blue theme colors on row selections. Now, there is a new way to style Xamarin.Forms visual elements — it's CSS. While met with some hesitation, CSS offers some unique styling benefits and opens up code sharing between web and mobile apps. Switch to a Beta Xamarin.Forms NuGet package and you can play around with CSS styling of Xamarin.Forms apps. For now, you can style most out-of-the-box UI visual elements with CSS styles — and you get to write valid CSS with extensive Selector support. Could CSS have a play in styling Telerik UI for Xamarin components? Turns out, most of the visual parts of our ListView is defined through the ItemTemplate — and you'll mostly use standard Xamarin.Forms controls here. For any container control, the ItemTemplate is what dictates the inner UI — and all of it is open to styling with CSS. 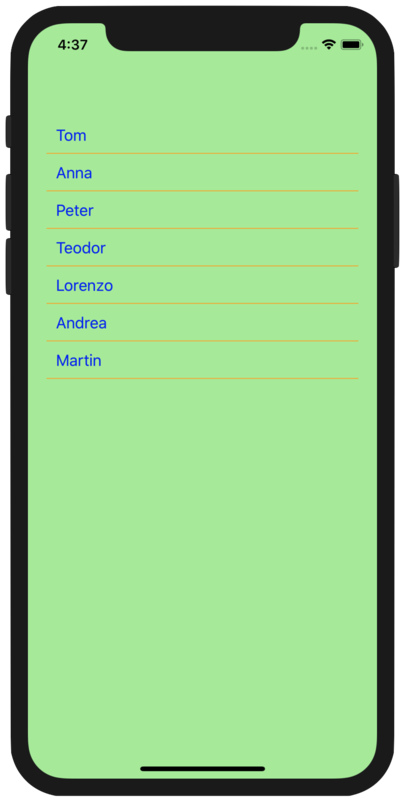 Run the app and you'll see CSS getting in the weeds — styling repeating UI components in a Telerik UI for Xamarin ListView. Hallelujah! Having an app-wide style theme is a great step towards achieving UI consistency throughout the app. However, developers or designers may need to tweak a built-in style theme to suit their app needs - little customizations to tailor the granular details. In the default Telerik Blue theme, there are uniform styles defined for a lot of controls - you have the option to override them of course. This is a great way to start with a polished theme throughout the app, but make little customizations to make things your own. The result is harmony - and pure flexibility for developers to style their Xamarin.Forms pages and UI any way they desire. Now in our CSS file, we have a named style class that applies to the Label inside the ItemTemplate. But there is now also another style that applies to direct children Label elements that are inside a StackLayout. Guess who wins? Last style in — you can envision the flexibility that cascading CSS styles bring to the table. Another interesting connotation is CSS styles being able to refer to complex Telerik UI directly and tweaking how UI components are rendered. Full caveat here: some core styles of the ListView from Telerik UI for Xamarin cannot be updated from CSS yet. This needs engineering work - we are looking into feasibility and customer interest. Simply grab translated right-to-left language strings from a resource file and you are golden. Most complicated XAML UI controls (like the ListView or the Grid) employ the ItemTemplate approach to define repeating UI components and their behaviors. 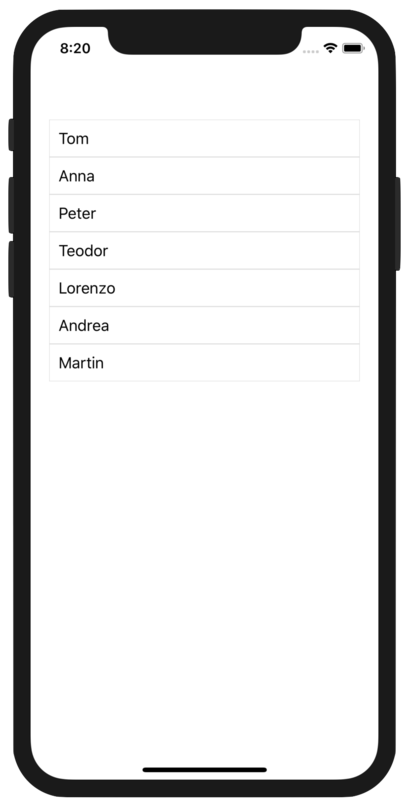 And for all such usages in Telerik UI for Xamarin controls, you can use CSS classes to style individual controls. With more complicated layouts, you can really start seeing the power of trickle down effects with CSS styles. Here's our CSS style and the corresponding results — fun stuff, isn't it? App-wide UI consistency goes a long way towards a smooth user experience. And themes definitely help to keep styles organized in one place and make sure changes are applicable throughout. And if you're using Telerik UI for Xamarin controls in your Xamarin.Forms apps, you'll have a rich built-in theme out of the box — use it as is or customize it to fit your needs. Once you push aside pre-conceived hesitations against CSS styling of Xamarin.Forms apps, you'll see that CSS styles work beautifully in conjunction with XAML styles and can augment style theme customizations with cascading effects. So pick up whatever combination of tools you want to style your Xamarin.Forms apps with and provide a delightful user experience.